When you head on holiday, you will need someone to take care of your pets. For some people this could be a friend or family member taking up puppy sitting, or maybe dog boarding kennels. Another option to consider is in home pet sitting. In home pet sitting has a host of benefits, not only for you but also your pet. So, what are they and why could it be a much better option for you? You may not realise it but your pet is a creature of habit. Dogs and especially puppies in particular, are more than happy to carry out the same tasks each and every day. If you send them to a kennel whilst you are away, then you will be changing their much loved routine. In comparison, having an in house pet sitter means that they can, as much as possible, carry out the same routine. One of the most harmful side effects to your pet from staying in a kennel is stress. Stress can not only make them sick, but can also mean that they do not eat or drink properly. By staying at home they will be happier, more relaxed, and much more likely to eat as normal. Best of all, your pet will receive a one on one, personalised service. Not much different, then they receive from you, their owner. They will have love, care and plenty of playtime. Meaning that they will enjoy your holiday as much as you do. 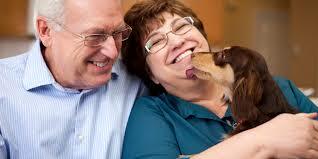 It isn’t only your pet who can benefit from an in home pet sitting service. You can too. One of the biggest benefits is that our house and pet sitters will sit for FREE saving you $1000’s in kennel fees. Dog kennel rates can be expensive and there are no additional benefits. In comparison dog sitting which is free and includes a much more personalised level of service. You also have peace of mind that your pet is looked after whilst you are away. You may even be able to ask the pet sitter to keep you updated with texts or emails. Best of all, you can relax in the knowledge that you have a professional, someone with experience and knowledge looking after your pet. They will be able to play with them, stimulate them and give them plenty of exercise too. So, whether it is because your pet will be more relaxed or that you can save money on dog boarding costs. You may find that an in home pet siting service is the best option for you whilst you are away!